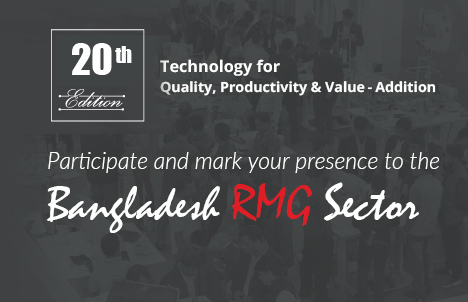 GARMENTECH Bangladesh has been bringing Global Technology Closer to the Doorsteps of RMG Sector in Bangladesh, GARMENTECH BANGLADESH has been instrumental in aiding the sector in improving the Productivity, Efficiency, Scale, Safety & Compliance its journey of progress to become the 2nd largest RMG Exporter in the World. As the sector aims to achieve the ambitious target of USD 50 Billion by 2021, Productivity, Value Addition, Compliance, Production Diversification are the keyaspects to address. 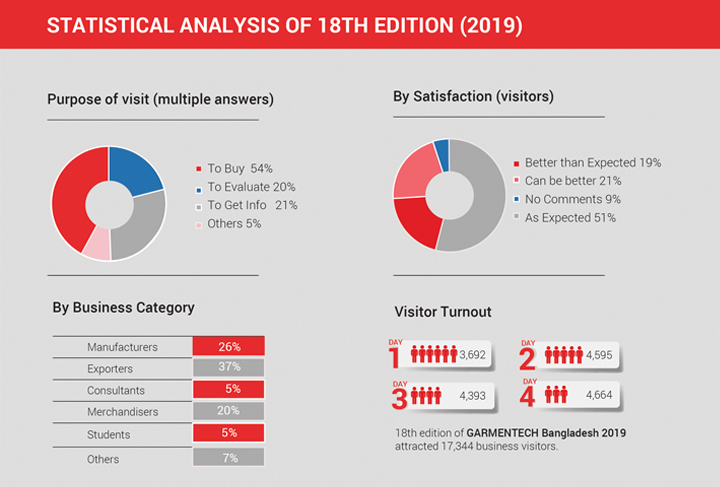 The 18th edition of GARMENTECH Bangladesh 2019, will showcase Cutting-Edge Technology from global leaders of Sewing, Finishing, Laundry, Embroidery, CAD/CAM helping in modernizing the sector.